More than 20 years after apartheid, far too many South Africans live in poverty. The reason for this, and for our enormous inequalities, is that far too few South Africans are employed. This has serious implications for our politics and stability, ultimately putting at risk the political, social and economic achievements of our democracy. 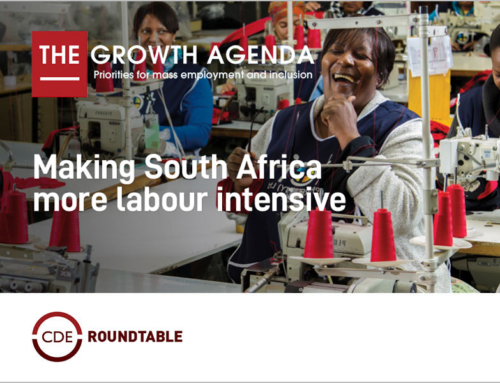 Rapid growth requires a speedy expansion of the numbers of South Africans with the decent education, skills and opportunities to help drive growth in many different ways. South Africa has to reconceive the relationship between growth and empowering tens of millions of poorer South Africans. Transformation and growth must work together for all South Africans to benefit and not just an elite. Transformation needs growth and we will not achieve sustained economic and employment growth without transformation. 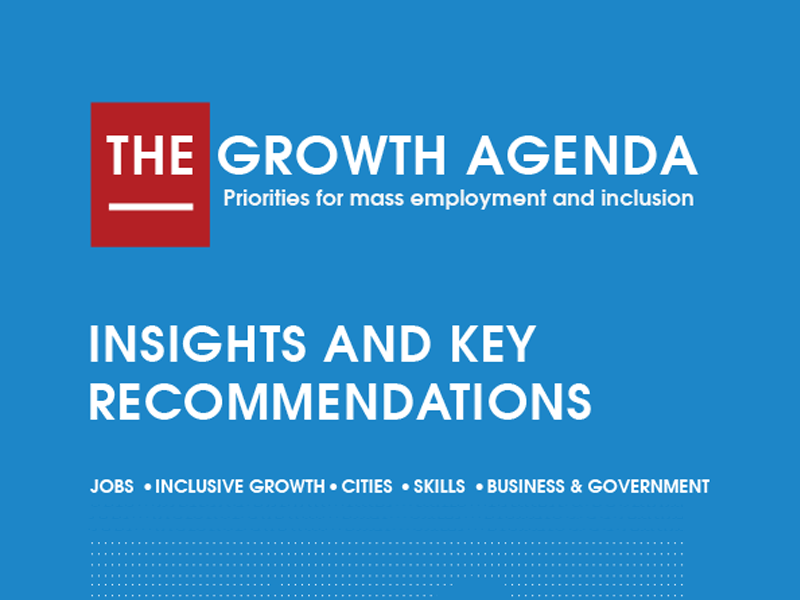 South Africa needs accelerated growth that is urban-led, private sector-driven, enabled by a smart state, and targeted at mass employment. If growth is to reduce the exceptionally high levels of poverty and inequality that shape our politics, it must be inclusive.